By John Liptak & Ester Leutenberg. Combines two powerful psychological tools designed to enhance domestic violence coping skills: self-assessment and journaling. 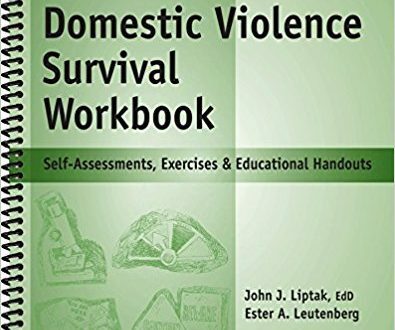 The five sections of the workbook help participants learn skills for recognizing and effectively dealing with abusive relationships, utilizing domestic violence worksheets. They contain assessment instruments, activity handouts, domestic violence worksheets, reflective questions for journaling, and educational handouts. Read more.